10hp Hydraulic Power Unit. Inquire for details. 135 HP, 15 psi, Burnham firebox, underfeed stroker, fans, conveyors, cyclones, feedwater and controls included. 250 HP, 15 psi, Kewanee firebox, underfeed stroker, fans, conveyors, cyclones, feedwater and controls included. 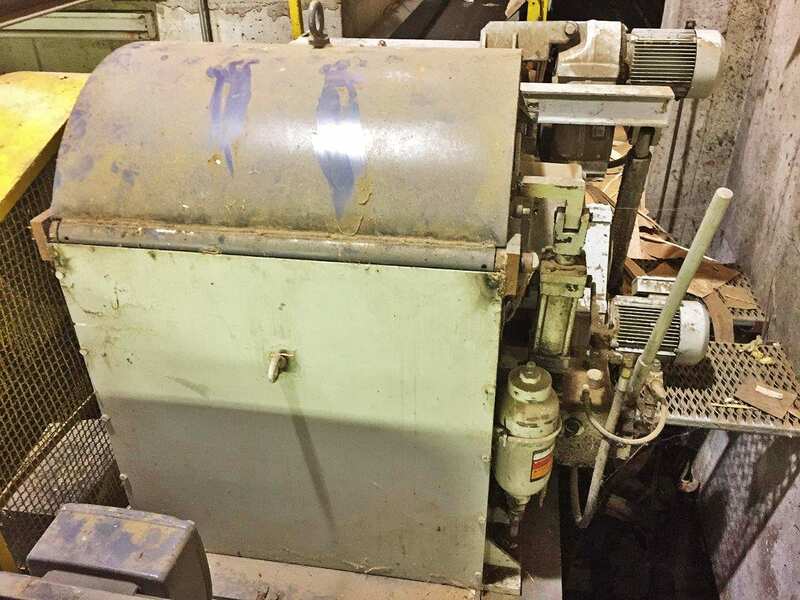 25hp Hydraulic Power Unit. Inquire for details. 3hp Hydraulic Power Unit. Inquire for details. 5000lb floor scale. Inquire for details. 600 HP, 150 psi, Hurst hybrid, 1999, underfeed stroker, all fans, stacks, controls, conveyors, cyclones included. 7.5hp Hydraulic Power Unit. Inquire for details. Various fans to 300hp. Multiple units available. Inquire for details. PC 70 in.× 70 in. Miller 300 welder. Inquire for details. Used hazmat cabinets. Inquire for details.